An understated pebble texture meets high-performance moisture-wicking from Dri-FIT fabric in this Nike Golf style polo. 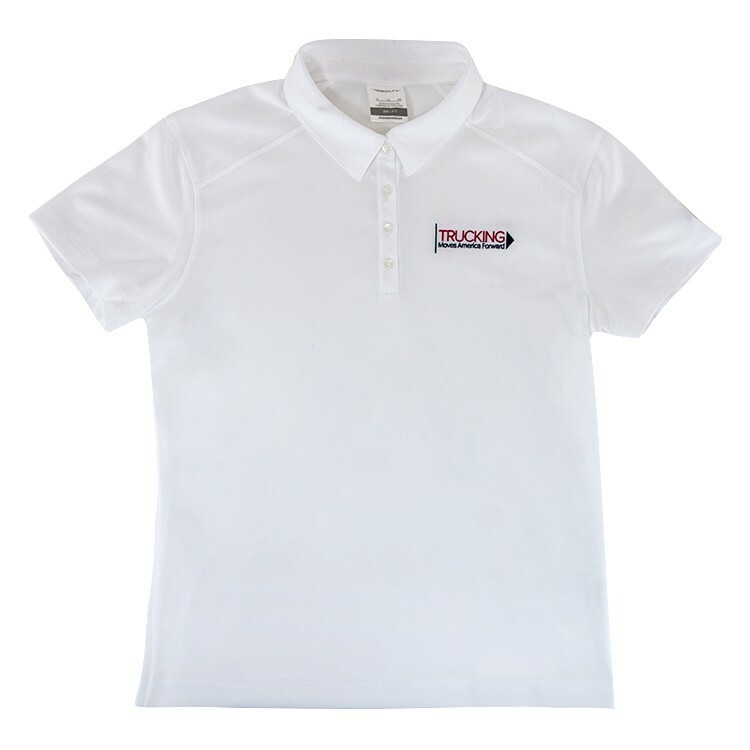 Tailored for a feminine fit and designed to keep you comfortably dry, this polo features a self-fabric collar, a four-button placket, open hem sleeves and is made of 3.9-ounce 100% polyester. The pearlized buttons were selected to complement the shirt color. The contrast Swoosh design trademark is embroidered on the left sleeve. Available in white with the two color TMAF logo embroidered on the left chest.